Sometimes change is for the best, and in the case of our new alternative medicine office, it’s true. Our staff is excited about our new location because it helps us to better achieve our goal of providing the finest functional medicine care possible. 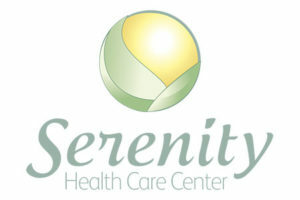 Serenity Health Care Center’s new alternative medicine office is conveniently located off I-94. A stand-alone office, the new location offers ample parking right next to the building, allowing you to walk in quickly. Patients who enjoy shopping at Woodman’s Market for organic and gluten-free products will appreciate the fact that our new location is close to this popular store. When we were choosing a new office for our alternative medicine clinic near Milwaukee, we wanted the layout to work better for patients and practitioners. Our new office offers more exam rooms and a better flow as people move throughout the space. While our location is changing, there are many things about our alternative medicine clinic near Milwaukee that will always remain the same. In our new alternative medicine office, we will continue to fulfill our commitments to our patients. Patients of all ages who visit our new alternative medicine office will continue to benefit from the many alternative therapies we offer, including thermography, hypnotherapy, Lyme disease detox, massage therapy, Ondamed, Reiki/CranioSacral and shamanic healing. At our alternative medicine clinic near Milwaukee, we care about our patients’ health and quality of life. This move is just another way of showing our patients that we’re always working and striving to improve the patient experience. Contact us today for an appointment. We’re excited for you to visit us at our new alternative medicine office.